The object of Goddess of Life is to obtain a winning symbol combination by spinning the reels. 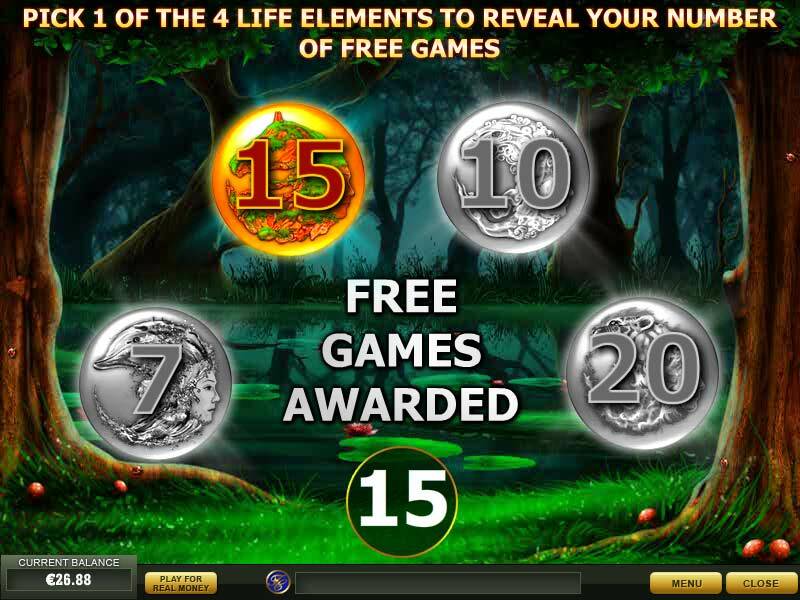 This is a new playtech online slots game released in March 2012. 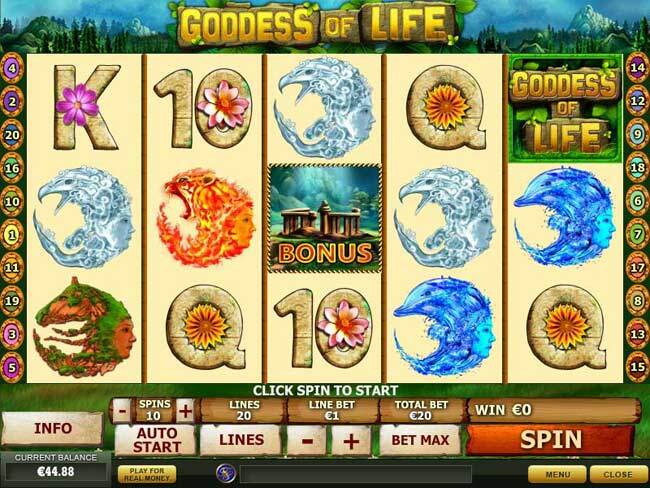 Goddess of Life is a state of the art online video slot game with a special enchantment. 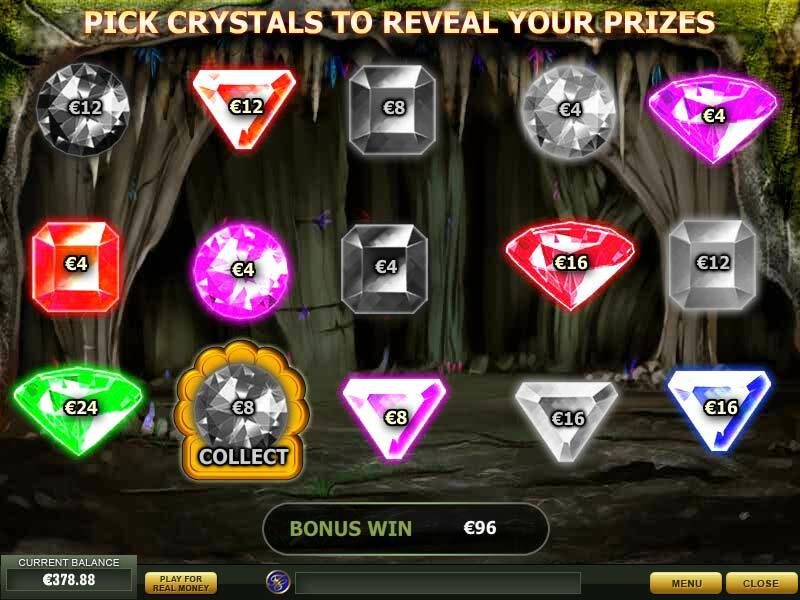 The goddess travels through life to award you up to 20 FREE SPINS or the chance to win beautiful crystals for cash prizes.